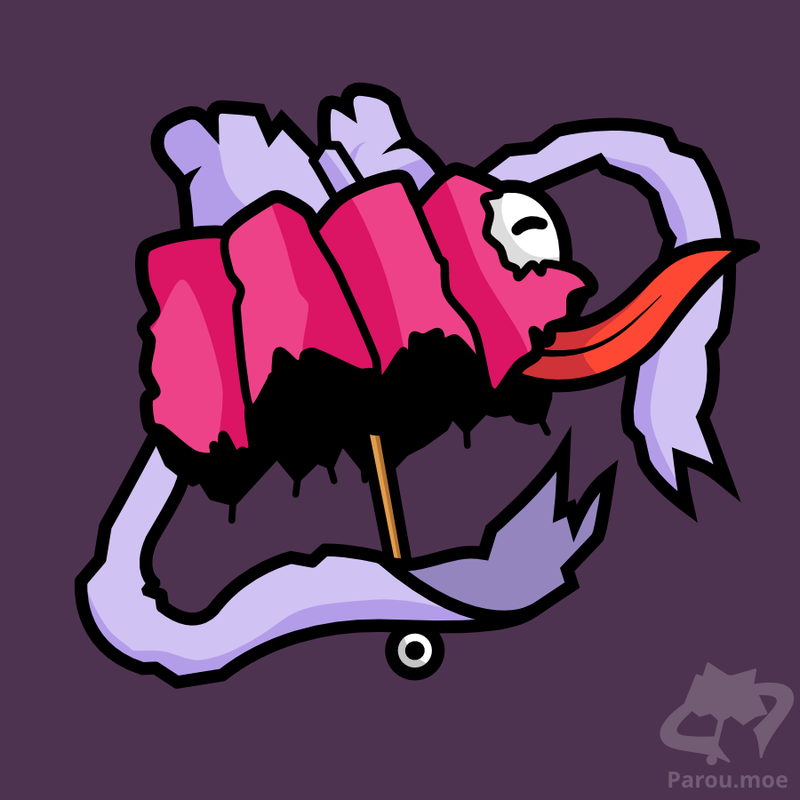 The Mahou Kasa is the mascot of my art website parou.moe and is based on the japanese Kasa-obake, basically an umbrella ghost. The Mahou Kasa is a mixture of a small Kasa-obake like creature and an exaggerated Mahou Shoujo (Magical Girl) like ribbon on top of it. It is able to "transform" into a large umbrella if needed.